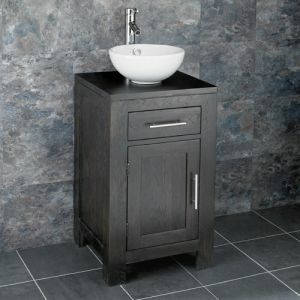 This stylish, handcrafted and pre-assembled Alta solid oak single door narrow freestanding basin unit from Clickbasin is sure to give your bathroom or ensuite a touch of elegance and luxury. 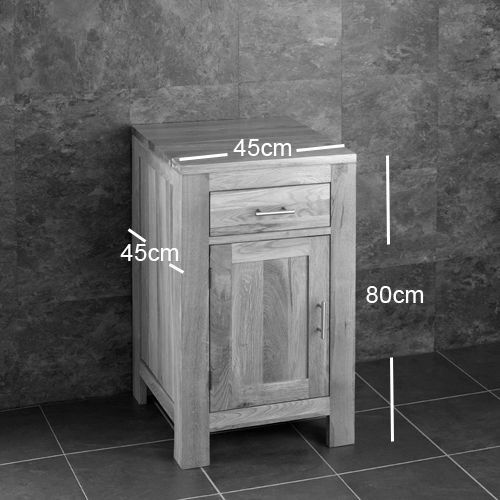 While this unit may be designed to fit a smaller bathroom or ensuite, it’s in no way lacking the high quality and style of our larger models. 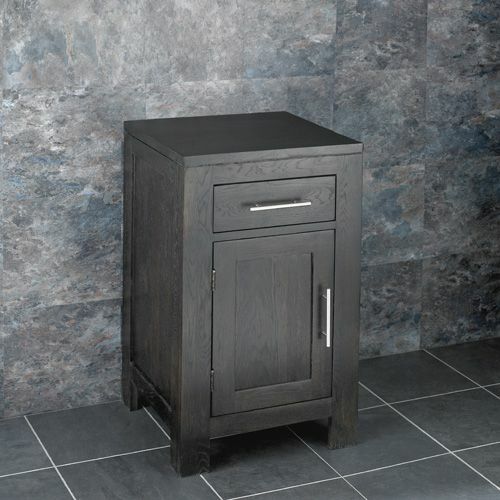 The cabinet benefits from a generous coating of a clear and durable finish which helps protect the solid oak wood from day to day use and is beautifully presented in our very popular wenge oak colouring. 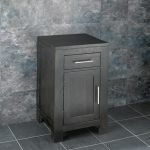 This cabinet will not only add style and luxury to your bathroom, but the cabinet is also perfect for those bathrooms or ensuites where space is at a premium. Simply use the cabinet to store your toothbrush, deodorant or shaving kit etc. 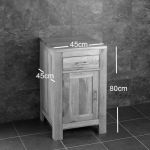 When you order this stylish solid oak cabinet from us, we’ll carefully package the unit and dispatch it for delivery right to your door. Because this unit comes ready assembled, you won’t have to mess around with putting it together. 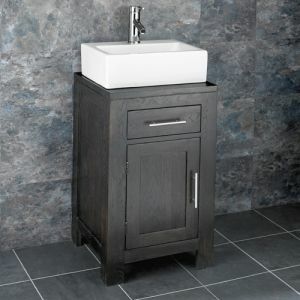 The cabinet is supplied undrilled to allow a choice of basins and locations and also features a false drawer to hide any unsightly plumbing. 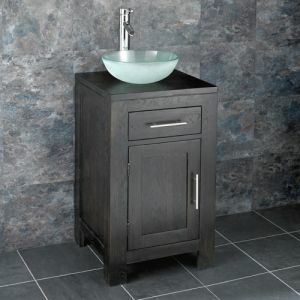 Different basin options can be used with this cabinet, if you do require the cabinet with a basin please e mail us or call us so we can confirm its suitability.